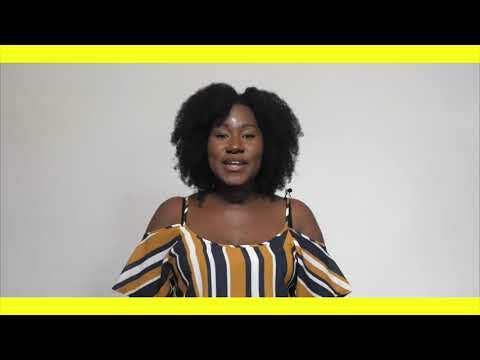 Akosua delivers an exceptional lesson experience and ranks in the top 15% of our teachers nationwide. My name is Akosua. I am a first time mom to my beautiful daughter, Madison. I am married to my best friend amd business partner Trevor. I love to write creatively and I love helping other people write creatively even more. I am a self-published author. I am working on my second memoir as well as a TV Show. One of my favorite poets is Lucille Clifton and she says "poetry [writing] is a matter of life, not just a matter of language. I help my clients write amd edit essays, manuscripts, resumes, cover letters and more. Learn how to regonize, write and edit over 20 styles of poetry with the "BTK" Lesson Plan & Poetry Guide. 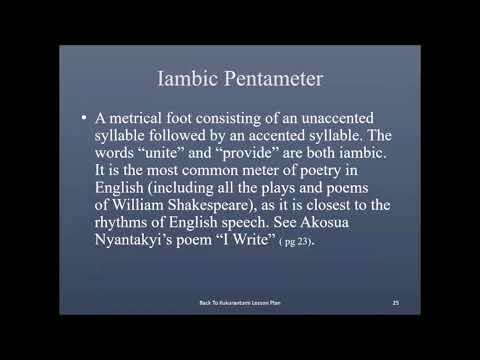 Iambic Pentameter is said to mimic the natural pattern of English speech. It is also one of my favorite meters in poetry.